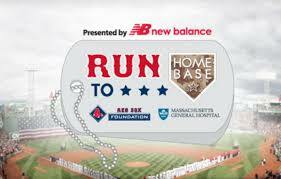 Lexington, MA, July 25, 2014 – Daymark Solutions, a leading provider of information technology solutions, today announced that its employees ran in the 2014 “Run to Home Base” for the 5th straight year, an event committed to helping veterans suffering from mental trauma and brain injuries. The annual event, which took place on July 19, 2014, consists of a 9k route through the streets of Boston with the finish line at home plate in historic Fenway Park. All funds are donated to New England veterans and their families affected by combat stress and traumatic brain injury. Over 2600 people participated in this year’s event, which raised just under $2 million. “Daymark employees are passionate about support for Run to Home Base, said Brian Casey, General Manager and COO at Daymark. “We are proud that this year’s ‘Team Daymark’ was the biggest ever. In the past five years, we have raised almost $40,000 for this worthy cause thanks to the generosity of our employees, friends, suppliers and partners.” Anyone wishing to donate can do by visiting the Team Daymark Donation Page.